La nochevieja aka New Year’s Eve is coming! 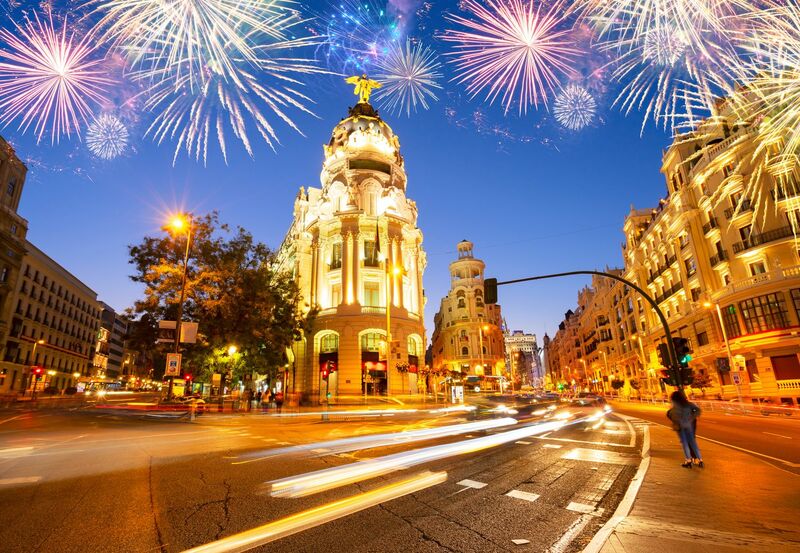 And no one does New Year celebrations as well as the city of Madrid. In the Spanish capital, it’s all about culture, friends, and party until the break of dawn. Whether you’re living in Madrid or coming down just to experience the buzzing excitement of entering a new year, here are a few best places that will help you decide what to do on the day (and night). Happy New Year! It’s a must. Experiencing Puerta del Sol on New Year will be absolutely unforgettable. Not only will you meet and party with complete strangers as you wait for the countdown, you’ll also get to indulge in a popular Spanish tradition with thousands of others at the same time. 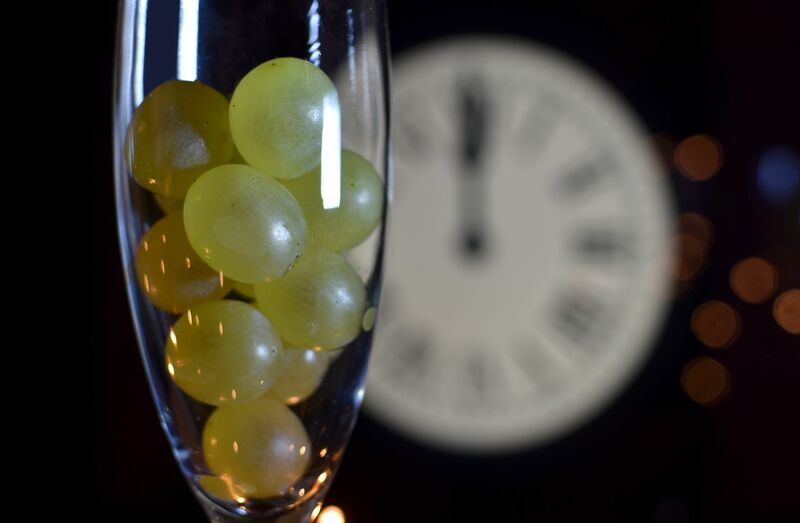 Here’s the weird thing Spaniards do on New Years - eating grapes. 12 of them. You’ll be surprised how much adrenaline you get as you try to eat 12 full grapes in the last 12 seconds before the New Year. The reason? It’s meant to bring you luck for the next 12 months! If you find yourself in Puerta del Sol, everyone tends to participate in this tradition. And if it’s your first time, you should definitely practice before - you’d be surprised how many people can choke on the grapes as they munch them down as fast as possible. Our best tip for celebrating New Year in Puerta del Sol is to come a couple of hours early - the streets get crowded faster than you think! Come prepared - you won’t be able to go back to your spot if you leave, so getting drinks and food should be done before you arrive. Don’t forget to make friends with people around you - it makes the experience ten times better! 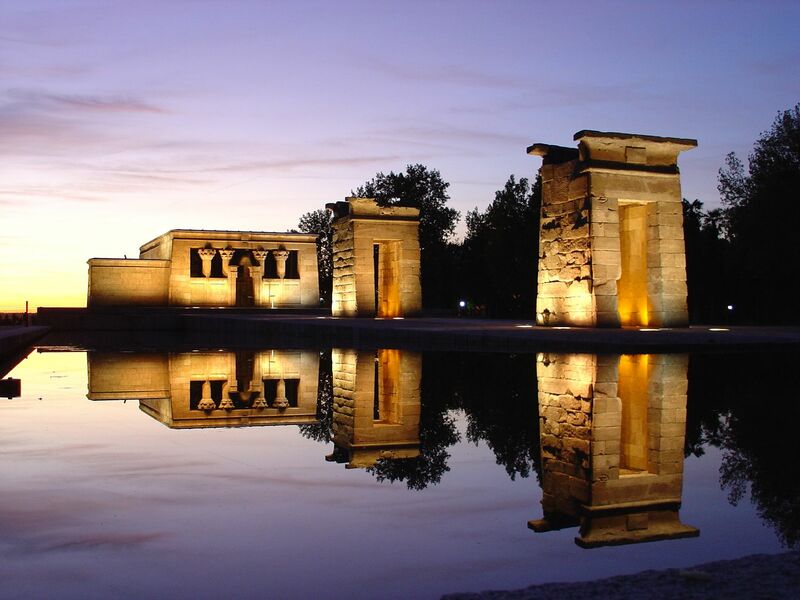 An alternative to Puerta del Sol is celebrating New Year in the Templo de Debod area. Due to its uphill location, you’ll have a fantastic view of the fireworks below. While the experience isn’t as spectacular as Puerta del Sol, it allows you to take some fabulous snaps of the fireworks. If the area gets full, walk over to the Royal Palace for a similar view - trust us, it’s one you absolutely have to experience! If you’re not a fan of standing in the crowd and want to leave it all on the dancefloor, head over to Teatro Kapital. It’s Madrid’s biggest nightclub, complete with 7 floors, all active with different events and featuring different music (live performances included) during the New Year’s Eve. Unlike Puerta del Sol and Templo de Debod, which can be visited for free, the NYE tickets for Teatro Kapital can get quite expensive - planning in advance is a must if you want the ultimate Teatro Kapital NYE experience. If you still want to be closer to Puerta del Sol, Joy Eslava is the place to be on NYE. Crowned as one of the best venues in the city, Joy has a lot to offer during New Year’s Eve. Keep in mind that coming to Joy after the Puerta del Sol fireworks is practically impossible, so it’s best to choose one or the other or leave early enough to avoid big queues. Similar to Teatro Kapital, Joy features live performances, but on NYE, the entire area turns into a dance-til-you-drop extravaganza that will make any party animal happy! Known as the popular LGBTQ+ district of Madrid, Chueca comes to life on NYE. If you’re looking for friendly people and an amazing atmosphere, just head down one of the streets and see what happens. This is a popular choice for those who might not have prepared and pre-planned their NYE experience - but that doesn’t mean you won’t have any fun! Chueca gets extremely lively during NYE - however, it’s quite unexpected and best for those who prefer to be spontaneous and just see what happens. 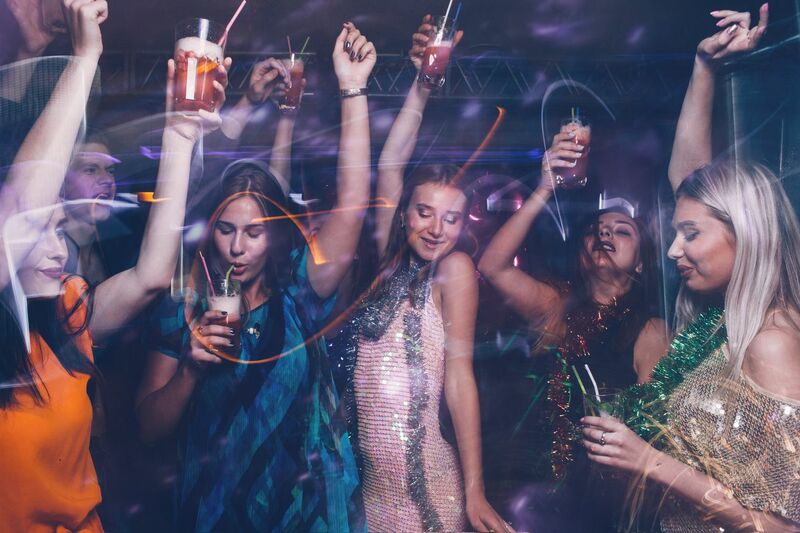 One thing’s for certain - you’ll be able to find a party in Madrid no matter where you go! What’s your favourite New Year’s Eve experience? Let us know in the comments! Mandy is a freelance Content and Social Media Manager, photographer, and a writer, currently living in London.